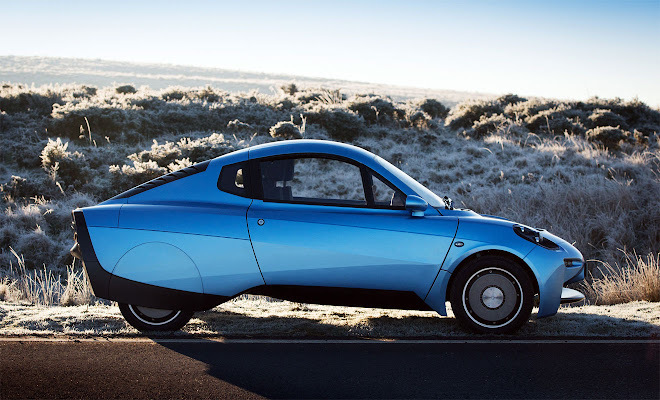 Wales-based startup Riversimple yesterday revealed the slippery bodywork for its hydrogen-powered car, which now also has a name: Rasa. As in tabula rasa, or blank slate. It’s a clever name for a clever car, which attempts to have as little impact on the environment as possible. 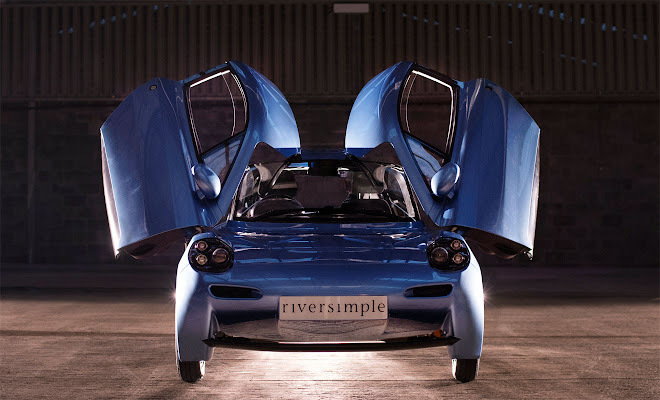 The thinking was outlined in my previous post about the Riversimple prototype, published in December. As expected, the newly revealed Rasa bears some resemblance to other super-streamlined eco cars, including the original Honda Insight and Volkswagen XL1. It is especially similar to the VW, given that both XL1 and Rasa feature dramatic clamshell doors. Indeed the Rasa looks quite a lot like an XL1 that has shrunk in the wash. 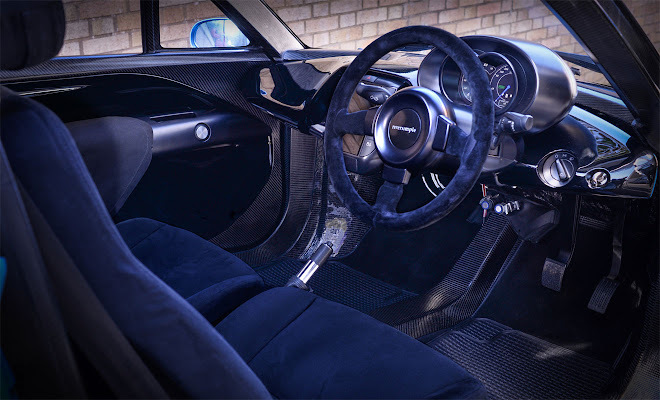 It has a delicate, fragile appearance that is probably highly inaccurate given that the central tub of the Rasa is strong carbon fibre – a lot of which is on show in the cabin. No crash test results have yet been published, however. The underside of the Rasa seems particularly unusual, with a pronounced teardrop curve, rising to meet the bumpers at either end of the car, as opposed to the flush, flat floor seen on most other highly aerodynamic cars. As a result, viewed from ahead or behind, the Rasa looks a little like it’s balancing on tiptoes, with its skinny tyres stretching down to touch the tarmac. The drag coefficient of 0.224 is probably the cleanest yet for a production design. Another unusual feature for a road car is the Rasa’s in-wheel hub motors. Four are used, one at each corner, not for efficient acceleration but for highly efficient regeneration. The company says it can turn 50 to 80 percent of the car’s momentum back into useful energy during braking – a long way ahead of most other vehicles that employ regeneration. Riversimple plans to lease the Rasa rather than put it on sale, with monthly costs about what you’d pay to lease an ordinary VW Golf. A public beta test phase is due to start later in 2016, with 20 Rasa prototype cars leased to early adopters for 12 months. The production model, tweaked as a result of feedback from the trial, is expected to follow in 2018. The tricky part for trialists will be the scarcity of hydrogen filling stations. 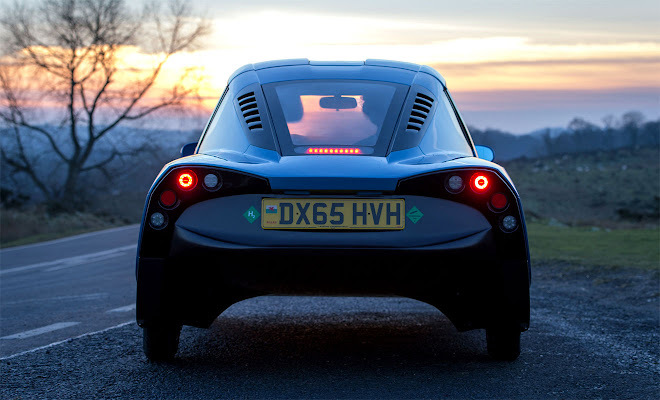 A tankful of H2 will take the Rasa about 300 miles, Riversimple says, which ought to cover most journeys that the Rasa is likely to tackle, given that it’s a fairly cramped two-seater with little space for luggage.